Do you like the idea of adjusting the energy around you? Do you connect with crystals and love essential oils? 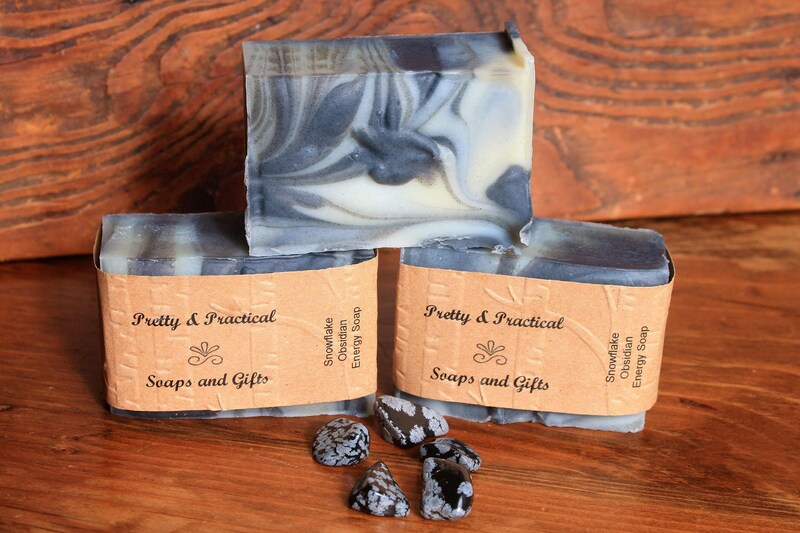 Than this is the soap for you. 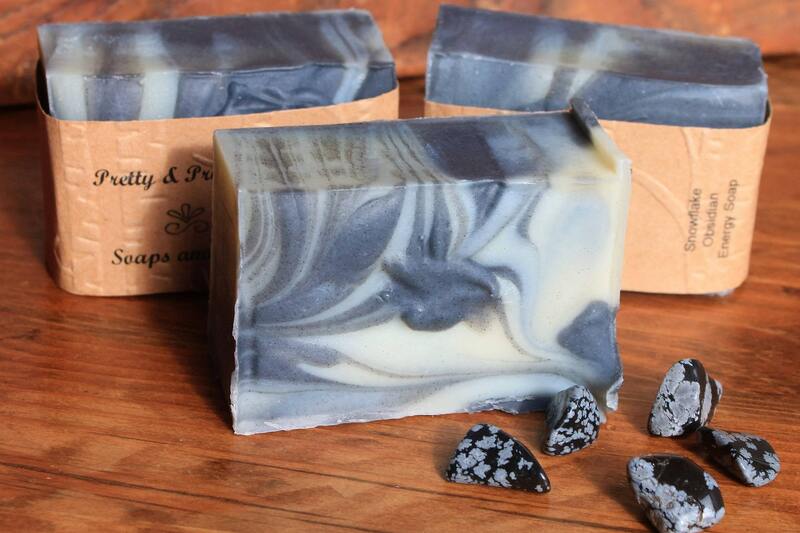 We’ve embedded a snow flake obsidian crystal into our natural soap and added complimentary essential oils including cedar wood and patchouli for a grounding energy soap. If your a believer this will bring grounding protective energy into your life. If you aren’t a believer you will get clean, smell great and have a great crystal to add to your collection! 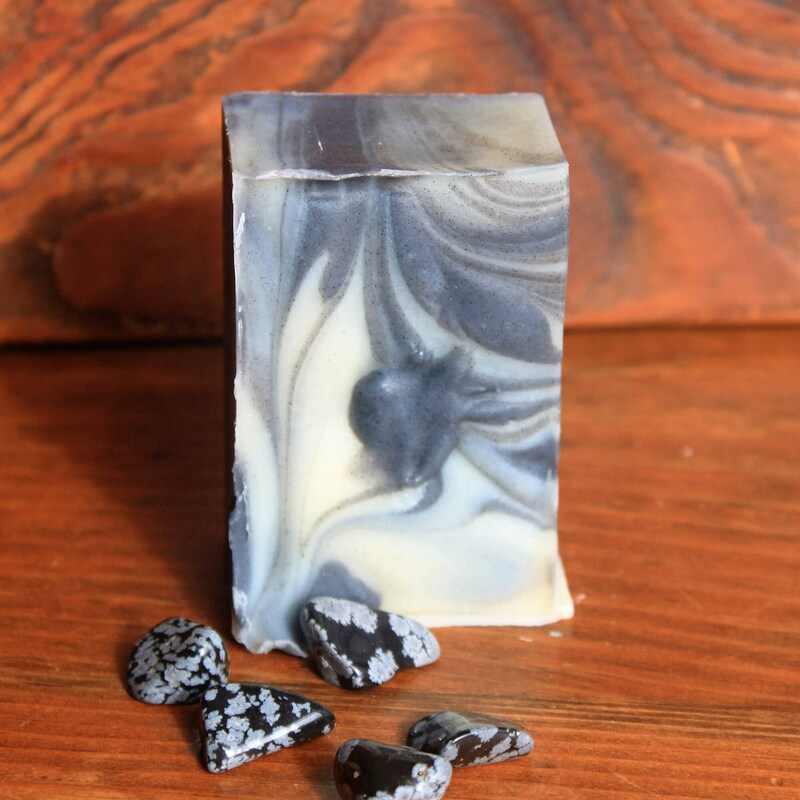 Each bar contains one smooth tumbled snowflake obsidian crystal approximately 3/4 of an inch, shapes and sizes will vary as these are stones from nature and each is unique. Once you uncover your crystal you can carry it in your pocket, add it to your collection or maybe even make a piece of jewelry out of it, the choice is yours. The bar is approximately 2”x3” and 1” thick. This soap is not recommended for small children who may put the stone in their mouths.